Sometimes it’s worse when you’re addicted to something legal, like cigarettes or alcohol, because there’s nothing actually stopping you from accessing it except your own self-control. Of course, where there’s a will, there’s also recovery apps. It’s not surprising that app developers have delved into the world of addiction recovery, being that 23.5 million people are currently addicted to drugs or alcohol. Some apps aren’t actually even designed for recovery, and just happen to be extremely useful for some aspects of it. The recoveryBox app is designed to hold the user accountable. It uses a system of lights — red, yellow, and green — to help you keep track of how you’re doing in recovery. It helps to identify triggers and areas of high stress in your life that may prompt you to relapse. It’s even set up so that you can work on multiple addictions at once! This is a pretty comprehensive tool when it comes to keeping track of your recovery. It’s organized to work with the AA 12-step program, and it keeps you accountable and motivated. In addition to the normal features like a sober tracker, it also has daily messages and reminders to keep you motivated, helps you set your own personal goals, and keeps you on track with the 12 steps. It also hooks you up with news articles and science breakthroughs on topics related to addiction. This app is geared specifically towards users who are already members of AA. It has a sobriety counter to keep track of how long you’ve been sober, an option to remain anonymous, prayers, and an AA contact list. It also includes the Big Book, which is a collection of how thousands of men and women have overcome alcohol addiction. All of that, plus a meeting finder and more options, makes this a great tool to use in conjunction with group meetings. Sober tool is geared towards preventing relapse, which is certainly a nice thing to have in your pocket. It helps you to identify your triggers and gives you warnings before you fall into a relapse. It also finds meetings near you and can help connect you to a local sober group, in addition to tracking your sober time and providing general recovery advice. For people who are looking to stop smoking, this can be a good option. As a widget, it provides you with the basics like how long you’ve quit and how much money you’ve saved. It also gives good tips for quitting and health improvements and comes in English and Spanish. If you’re trying to quit smoking and are using an iPhone, you’ve also got a decent option. Yes, this one costs money, but that’s par for the course with Apple — sorry guys. On the flip side, this app can also be used on the Apple Watch, which is pretty cool. It tracks how long you’ve been without nicotine, how much money you’ve saved, how many cigarettes you haven’t smoked, and what kind of gradual health improvements you’ll experience. 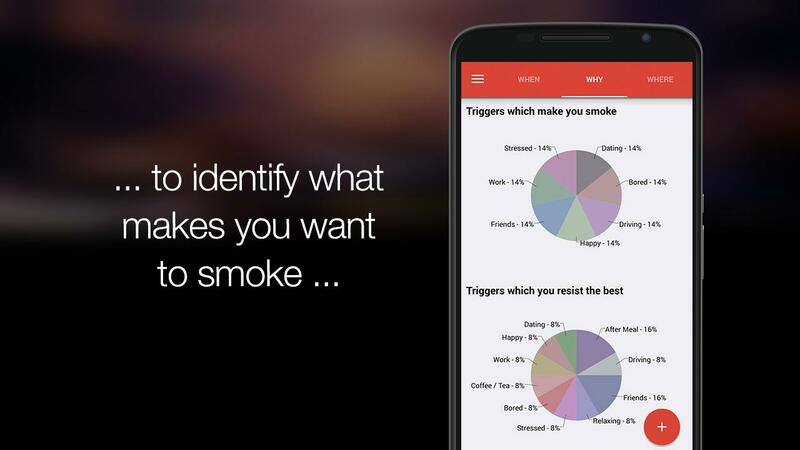 While these apps are certainly nice to have, not all addictions can be self-treated. If you suffer from a serious addiction, or if you’re concerned that quitting may provoke a potentially life-threatening withdrawal, make sure to seek professional help. It’s available to everyone, so don’t be afraid or ashamed to ask for help. General Motor’s EN-V…Is It Just A Concept Car?